Home / Columns • NEWS / Axl Rose Says, “He Is Done Signing Autographs For Awhile” In Bizarre Tweet! Doh! Axl Rose Says, “He Is Done Signing Autographs For Awhile” In Bizarre Tweet! Doh! I know, I know… Wrong band. It looks like the always fan friendly Axl Rose has decided to no longer sign autographs. He took to twitter to share the news. Now realistically, he was never historically one that went out of his way to be cool or nice to fans, but in the latter years, he did soften up a bit. Now, while that tweet isn’t really even in English or any language anyone could possibly understand, it does signal a troubling trend in the hobby. Here Axl blames eBay’ers which is completely fine, I mean we’ve all seen people be aggressive, whether it’s a photo or an autograph, people go nuts. I’ve seen people who are genuine fans, lose their minds. One time, I had a girl literally run, or try to run up my back. Apparently, she thought I was a ramp she could use to gain aerial advantage. She was wrong. Whether you have one item or do sell things on eBay, if you leave with nothing, you make nothing. As a fan, I would rather have one than none. Things to definitely keep in mind! Will There Be A Pacific Rim 2? Director Guillermo del Toro Talks About Writing The Sequel! Paleyfest 2018 Full Lineup! The Good Doctor! Riverdale! Will & Grace! The Orville! And More! Avengers: Infinity War London Fan Event! Benedict Cumberbatch! Tom Holland! Sebastian Stan! Tom Hiddleston! Elizabeth Olsen! And More! SDCC! Starz Releases Outlander Trailer! Season Three! He actually tweeted this like 2 days after i met him after an acdc show. He was super nice to around 60 fans, did a picture with each one and signed one thing each as well. He was amazing. They actually drove him into the hotel but he came out the front door to meet his fans. Guess we were extremely lucky. Did he have a stroke or is he just a terrible speller? You do get 140 characters per tweet. 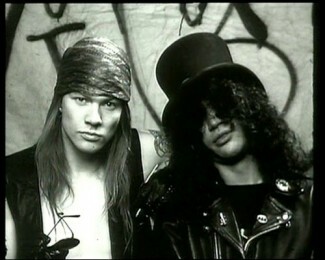 BTW, a signed 8×10 of Axl AND Slash went for a whopping $21.25 on ebay. I can see why he’s so upset. Since he hasn’t been to Germany for like 20 years, the german dealers put them on ebay for 300 each.